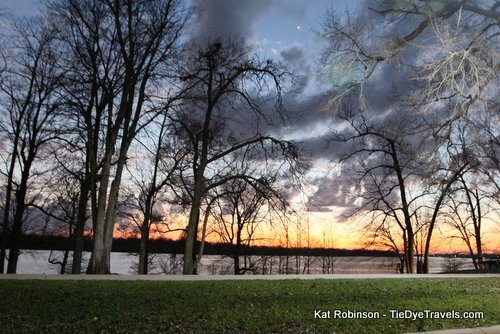 Stay On The Edge of the World's Longest Oxbow Lake at Lake Chicot State Park. 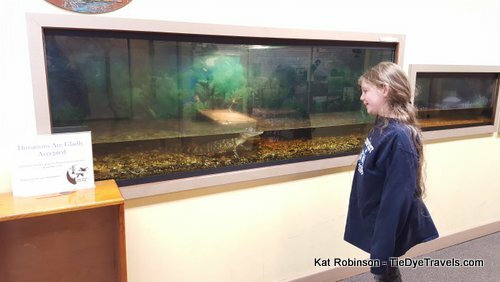 The remote facility north of Lake Village is a favorite of fish lovers and family reunions. 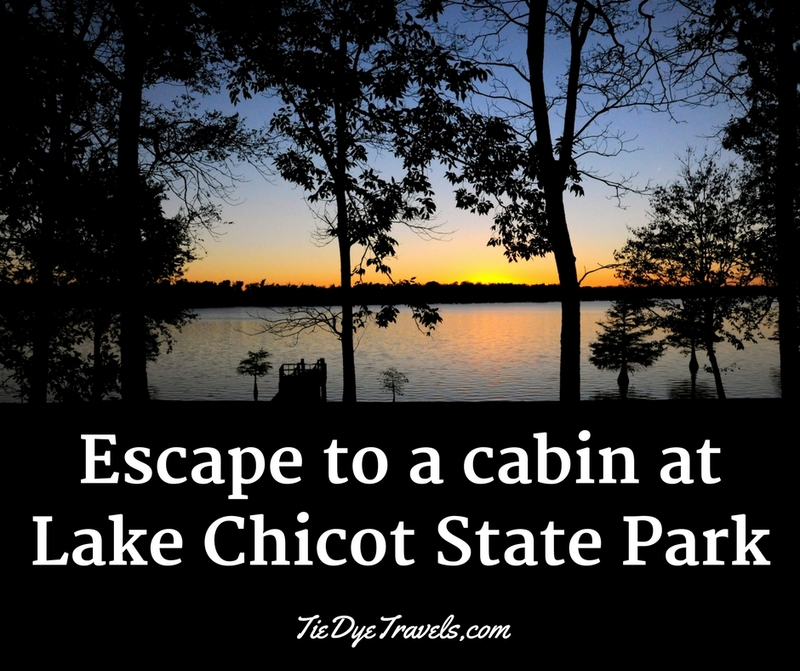 Take a look inside the cabins at Lake Chicot State Park. 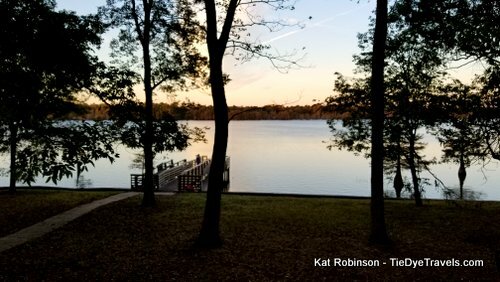 Some of the prettiest sunrises and sunsets take place over Lake Chicot. 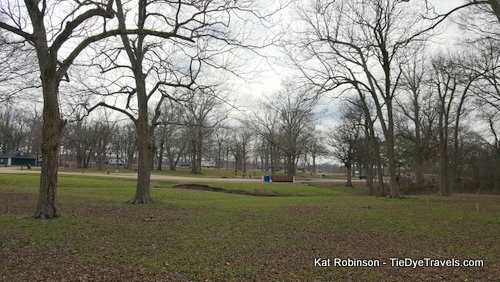 The oxbow now separated but once part of the Mississippi River archs like a giant letter C north of Lake Village and northwest of Greenville, Mississippi. The park itself lies on the oxbow's northernmost bank. Mind you, there's little to no cell signal at the park, and no wifi except at the visitor's center, which means when you're on park you're somewhat out of reach of technology. For those who wish to chill out indoors, there is a television with multiple channels available in the living room. 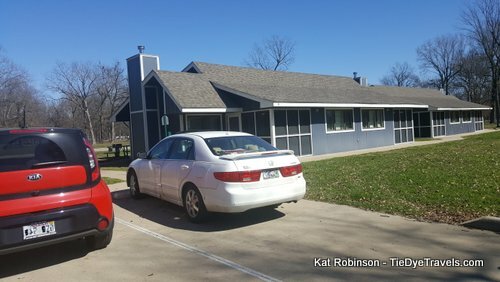 There are both one bedroom and two bedroom cabins at the park, in duplexes. 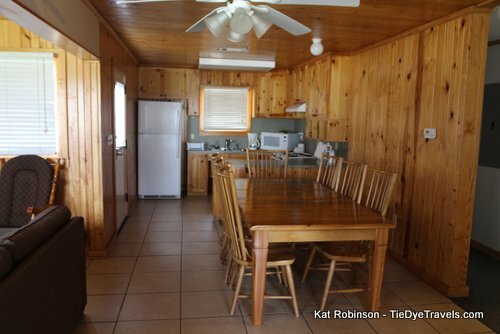 The one bedroom units are grouped not far from the shore of the lake, while the two bedrooms are across a street. There's parking directly in front of every unit, so toting luggage isn't difficult. 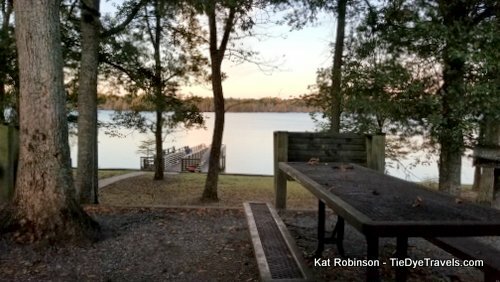 For folks who fish, a ramp is within a quarter mile and there's a dock right behind the cabins. There are also picnic tables outside each unit for outside dining. 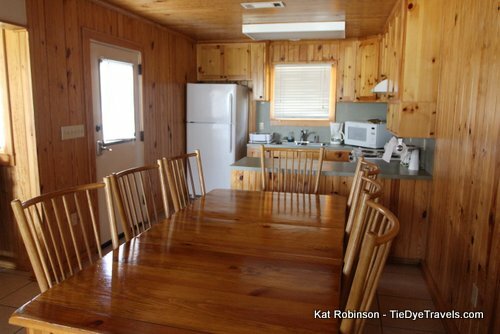 Inside the one bedroom cabins, you'll find a small kitchenette with a small oven and range, microwave, full size refrigerator and appliances such as a coffee maker, toaster, blender and can opener. 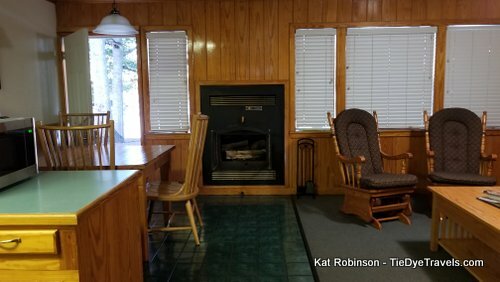 The dining area is small but a door from the area opens directly onto the back porch, where you can look directly out over onto Lake Chicot. A fireplace at the heart of the main room separates the living and dining areas. 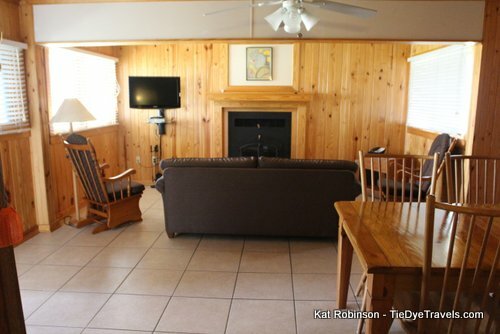 The one bedroom units include a pull out sofa, recliners, table and television. 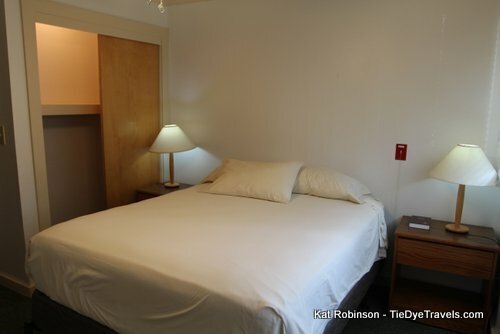 The single bedroom has one queen sized bed, two side tables with lamps and a closet. 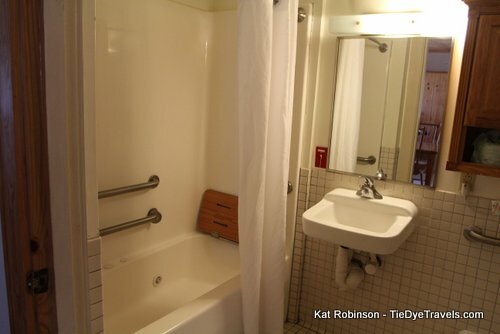 The bathroom has a roll-in shower and is accessible. 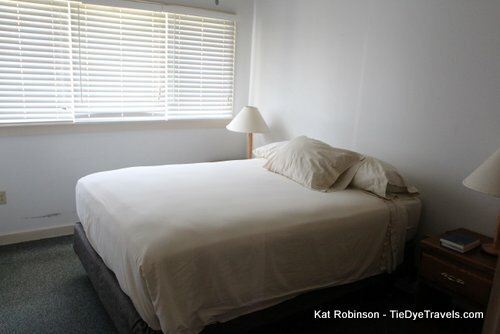 An iron and ironing board can be found in a closet next to the door leading to the driveway for each unit. Access is via keypad. The two bedroom units are understandably a bit more spacious. The living room has a porch on one side that's screened in. 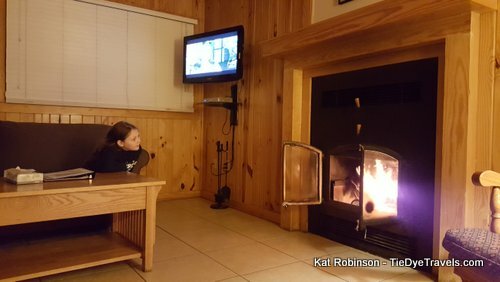 The living room itself is equipped with a fireplace, pull-out sofa and recliners, and there are windows on opposite sides. The dining area features a table for up to eight. 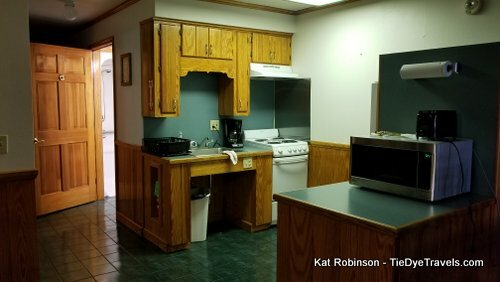 The kitchen is fully equipped with full size oven and range, microwave, refrigerator, dishwasher and appliances that include a coffeemaker, toaster, blender, can opener and more. There is a complete complement of dishes, pots, pans and utensils - so all you should need to bring is food. The two bedrooms and bath are located on a hall. The bathroom includes a jetted tub. 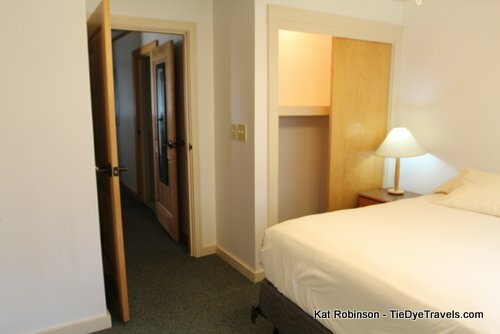 Each of the two bedrooms has a queen sized bed, side tables with lamp and closet. 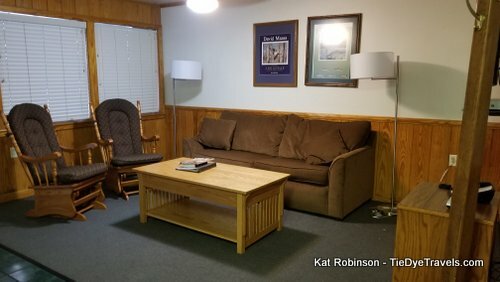 Every unit on park is accessible, and they come with the necessities you need - soap, shampoo and conditioner for the bathroom, a bundle of firewood for the fireplace, dish soap, towels and coffee. For those who prefer to camp, several camping areas with full hookups and bathhouses are available, and there is a seasonal store for fishing gear and such along the shore. Firestarters, matches and basic items are available at the visitors center store, and town is six miles away. The Sunflower grocery store, Yee's Food Land, Dollar General and other stores can help with your supplies. 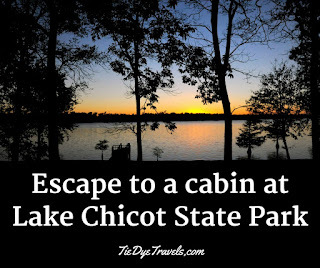 Lake Chicot State Park is located at 542 State Hwy 257 north of Lake Village. 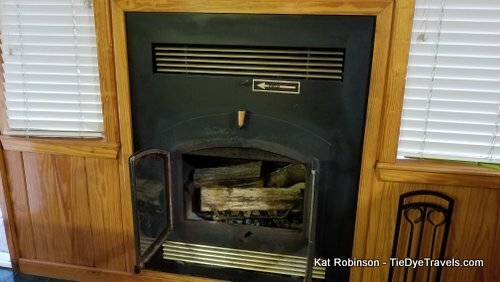 One bedroom cabins are $100 a night ($90 a night in winter) and two bedroom cabins are $120 a night ($110 a night in winter). For more information, contact the park at (870) 265-5480 or visit the park's website. 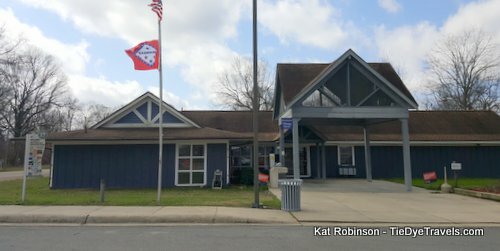 Be sure to visit the park's visitor center for interpretation and programs around Lake Chicot. And enjoy the sunsets.